SEBI's diktat on shell companies, barring them from active trading, has investors in a fix. The Securities and Exchange Board of India's (SEBI) directive issued on August 7, 2017, to domestic bourses to initiate action against 331 companies suspecting them to be 'shell' companies, thus banning them from regular trading overnight, has investors rankled. On, August 14, 2017, the stock of J Kumar Infraprojects ended at a price Rs 186.25 per share, losing close to 35 per cent in two trading sessions. 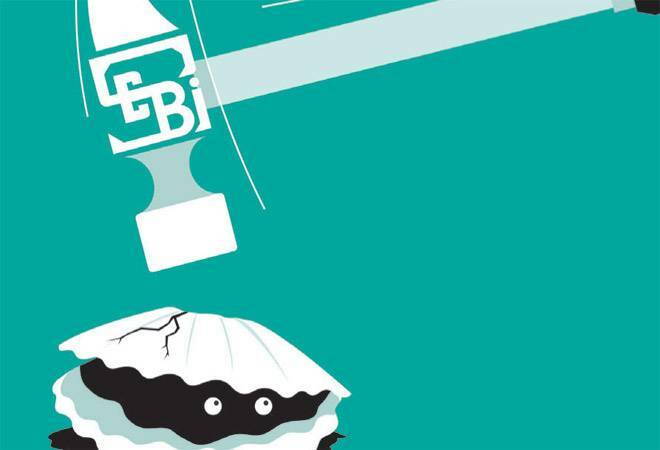 Although the Securities Appellate Tribunal (SAT) revoked SEBI's order that identified the company as a shell company, leading to immediate stoppage in trading of its shares, the damage had already been done -investors dumped the stock when it resumed trading on August 11. A senior industry official says, "SEBI's hasty decision has destroyed the reputation of these companies which has institutions as investors, and now there is a high probability of them moving out of the stock." SEBI's diktat is neither defined under the Companies Act nor in any of SEBI's regulations. By putting the stocks of 331 companies under Stage VI of Graded Surveillance Measure, it has barred them from active trading. Trading will be allowed only on the first Monday of each month, on a trade-to-trade basis, that too with a 200 per cent margin that will be impounded for five months. SEBI has asked the stock exchanges to independently verify the credentials of each company and start a forensic audit, and based on the findings, initiate proceedings for compulsory delisting against the company, if necessary. The move has befuddled the industry. "While SEBI is expected to be proactive to ensure that the interest of investors is protected, it is also expected to act in a fair and judicious way. No one is questioning the intent of SEBI, but the process followed by the regulator," says Rajesh Narain Gupta, Managing Partner, SNG & Partners. Calling the directive "quasi judicial", he adds, "SEBI failed to demonstrate whether any investigation or enquiry was conducted to determine whether the allegations of 'shell company status' has some basis." Besides, he says the intervention of SAT and the stay of the communication issued by SEBI sends a wrong signal on the functioning of the regulator. Some are more welcoming of the move. Yogesh Chande, Partner, Shardul Amarchand Mangaldas, says "The intent behind the move is applaudable. Yes, one may say that some of companies in the list should not have been classified as 'suspected' shell companies. May be there is more than what meets the eye. The investigations are still on. I am sure SEBI will consider the conduct of all stakeholders before passing any final order." Several questions have surfaced: why is SEBI not questioning the auditors, why were basic hygiene checks not done before imposing such an order, why did an autonomous body like SEBI come under government pressure, why didn't the government conduct raids through the Income Tax department or the Enforcement Directorate instead. An industry veteran, on condition of anonymity, says, "The new SEBI chairman should realise that unlike the ministry, orders by SEBI are taken very seriously by the market and market participants. Such an order has huge repercussions on the reputation and price movement of the company and, therefore, they have to be responsible and do hygiene checks before passing it." The decision by SEBI could inflict irreparable damage to the reputation of companies and also bring a bad name to the Indian markets, possibly driving away global investors.